Audit Scotland are a medium sized company with 250 employees spread across Scotland. They were looking for a way to actively engage their employees in their ambitious carbon management plan. They knew having their employees engaged and bought in was key to achieving their targets and wanted a solution that was fun as well as delivering environmental impact. They set up a ‘Pro’ campaign on Do Nation where Audit Scotland staff were able choose from our list of actions and make their pledges, choosing how to contribute to the overall carbon saving effort. They used the theme of New Year’s Resolutions to encourage staff to pledge to do simple actions throughout the month of January. 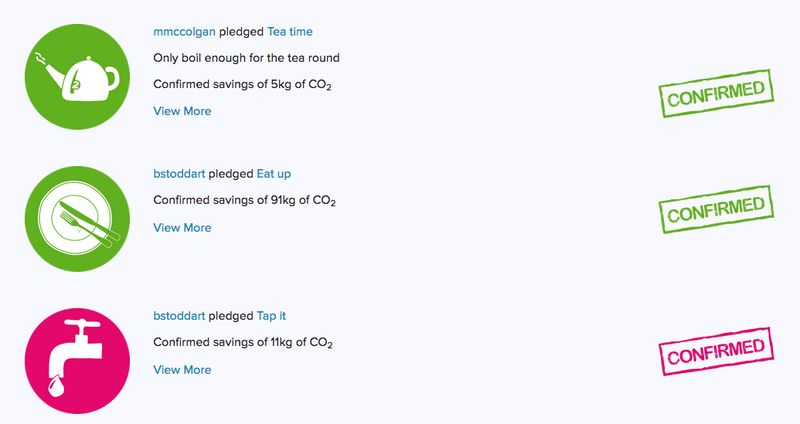 Carbon savings from each action were immediately measured and their pledges shared publicly on the page. Employees pledged to do actions like running into work, driving smarter or using less plastic reducing their environmental impact both in the workplace but also outside of it. The online nature of the Do Nation platform meant that regardless of where Audit Scotland employees were, whether out visiting clients they were able to be involved and pledging. Perfect for an organisation whose employees spend much of their time on the road. Through January, 131 pledges were made by 56 employees – that’s 22% of their workforce, an impressive feat given how widely spread Audit Scotland employees are. Of these 131 pledges, 71% were confirmed to have been completed over the two months. All these pledges added up to make a pretty big difference. Together, their actions led to a confirmed saving of 1,976 kgCO2 over the two months. 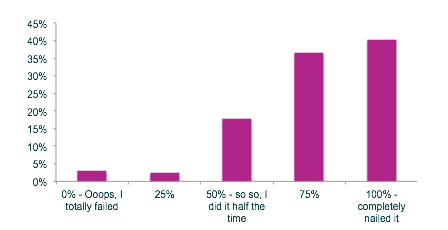 60% of successful Doers plan to continue their new habits in the long term, resulting in 9 tCO2 being saved per year. That’s the same amount of carbon as emitted by 21 flights from Glasgow to New York.